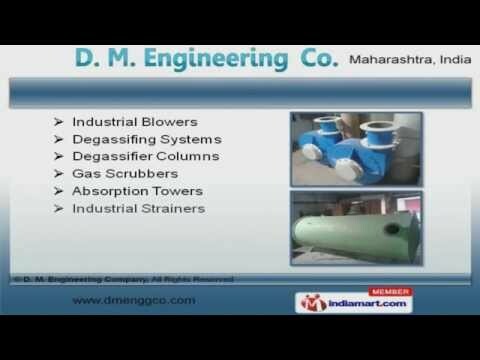 Welcome to D. M. Engineering Company, Manufacturer and Exporter of Chemical Process Equipment. An ISO 9001:2008 certified company, established in 2005 at Vasai. We serve to Chemical, Steel, Power and other industries. NRL, Ultratech Cement and ONGC are some of our esteemed clients and we are backed by excellent technical support and advanced technologies. We offer a huge gamut of FRP Vessels, Industrial Storage and Pickling Tanks. We are engaged in offering supreme quality Cartridge Filters, Membrane Filter Housings and Air Handling Equipment. Our Industrial Blowers, Degassifier Columns and Absorption Towers are well known for their outstanding performance. We also provide Industrial Piping, Static Mixers and Water Softeners that are widely acclaimed in the market. We are highly instrumental in presenting a wide spectrum of Activated Carbon Filters, Industrial Pultrusion and DM Plants. Our clients can avail from us an exquisite range of Fume Exhaust Systems, Industrial Reactors and Micron Filters for Water Treatment that are cost effective.